We live in the groupon era where it's wisest to go bulk buying. These are hard times and the growth of group buying sites may just be the best thing that has happened in our desire to get a bite of life's luxury. 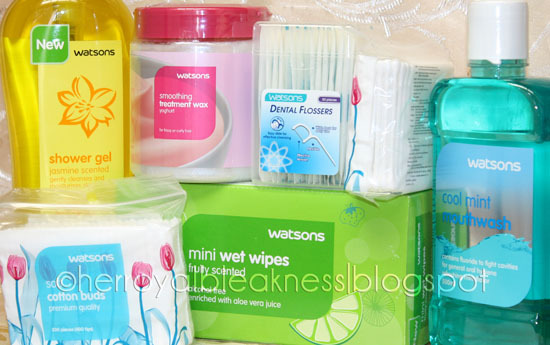 But thanks to Watsons Switch and Save, anybody can spend economically on their home basics even without buying wholesale! From cotton buds to mouth washes, to your facial tissues and Vitamin C (never miss out on this in your homes! health is an investment): everything is all about letting you save more money to spend for the good life. I'm impressed with Watsons because of this. They listen and act upon what consumers ask for. I will definitely scout for more of their products that promises a bigger bang for the buck. 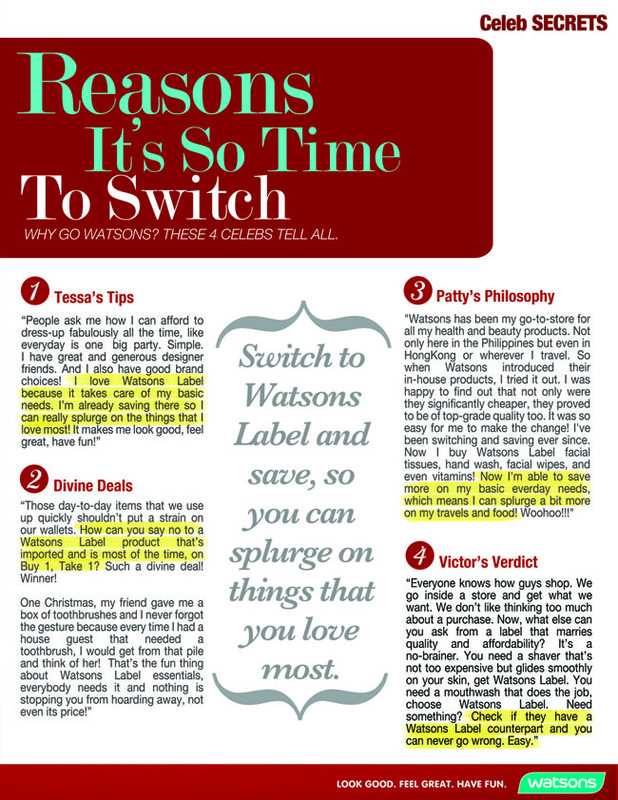 Switch and Save today with Watsons label to bring more value to your hard-earned money! After all, there are things at home that need not be pricey so that we can make room for those we'd rather splurge on. Na-try mo na yung smoothing treatment wax? It's good. Shouldnt have switched. Lory's gamit ko ngayon, ok din naman pero di ko gusto ang scent.